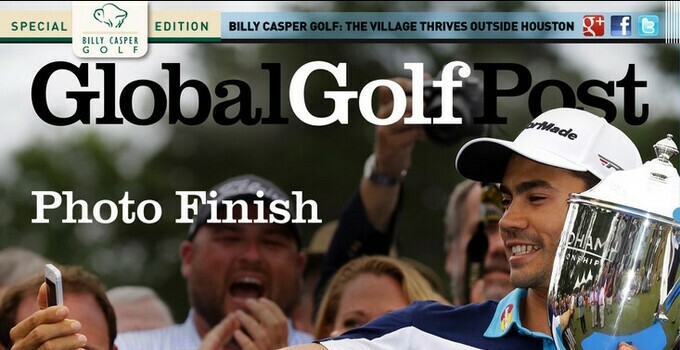 For the first time, the Billy Casper Golf edition of Global Golf Post doesn't feature a victorious Rory McIlroy on the cover. With apologies to those disappointed, Camilo Villegas is a good substitute with his comeback win at the Wyndham Championship. GGP covers the tournament from end to end, including the implications for the PGA Tour Playoffs for the FedEx Cup, which begin this week in New Jersey. Inside the issue, Ryan Ballengee also takes a look at The Village Golf Club. The Houston-area club was christened 50 years ago by Ben Hogan, who would have turned 102 years old last week. See how the club has evolved into a public facility that still holds up against modern equipment.